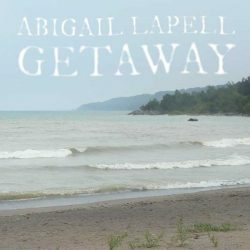 Abigail Lapell hails from Toronto and is a talented lady, having a strong voice with an impressive range, plus the ability to play a range of instruments. She can write as well having penned all eleven songs on this, her third studio album. This is an ethereal record which takes a couple of listens to fully show its cards. There is one truly upbeat number ‘Devil in the Deep’ which shows off Lapell’s vocal range to the full. Her flexibility is shown in the tender ‘Leningrad’ where just Lapell’s voice and piano are on show together with clever lyrics, behold: “I fell in love with an autocrat on the streets of Leningrad.” In a similar vein ‘Runaway’ showcases a lovely vocal and harmonies with just a squeezebox or similar by way of accompaniment. ‘Halfway to Mexico’ details the trials and tribulations of being on the road and has the most country feel of all the tracks, demonstrating some very nice steel guitar work. You do wonder whether Lapell has been travelling for too long when you listen to ‘UFO Song,’ describing an extra-terrestrial experience. It is not clear whether or not this is autobiographical but the song evokes the feel of being alone on the plains and the sense of terror such an experience would evoke. So UFOs aside, this is all in all a laid back and pleasant listen.